Just 5 minutes’ walk from beautiful Tahuna Beach, Castles Motel offers self-contained accommodation with a flat-screen TV and free WiFi access per stay. Complimentary tea, coffee and biscuits replenished daily. Featuring free WiFi and mountain views, Castle Hall is a holiday home, situated in Lake Tekapo. It provides free private parking. There is an open-plan living, dining and kitchen area with large sliding doors opening out onto a deck. 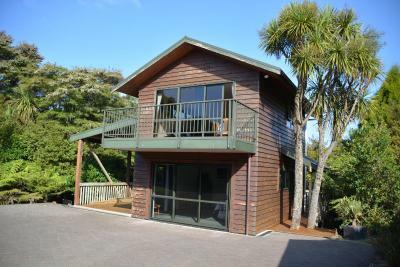 Located in Whitianga, Treetops Cottage at the Castle is a chalet featuring a barbecue. Guests benefit from balcony and a sun terrace. Free WiFi is provided and free private parking is available on site. The kitchen has an oven and a microwave. Set on 9 acres of mature trees and gardens, Castle Hill Lodge is a beautiful rural retreat. The property offers free WiFi, BBQ facilities and a guest lounge. Guests enjoy a free daily home cooked breakfast. Featuring free WiFi and a terrace, Artica Art & Accommodation offers accommodation in Port Chalmers, 12 minutes' drive from Dunedin CBD and 31 minutes' drive from Larnach Castle. Free private parking is available on site. Set in Raglan in the Waikato Region, this detached holiday home features a garden with a sun terrace. The property is 35 km from Hamilton and boasts views of the sea. Free private parking is available on site.